King Salman of Saudi Arabia has ordered a safety review for the annual Hajj pilgrimage after at least 717 people died in a stampede near the holy city of Mecca. Another 863 people were injured in the incident at Mina, which occurred as two million pilgrims were taking part in the Hajj’s last major rite. King Salman said there was a need “to improve the level of organization and management of movement” of pilgrims. 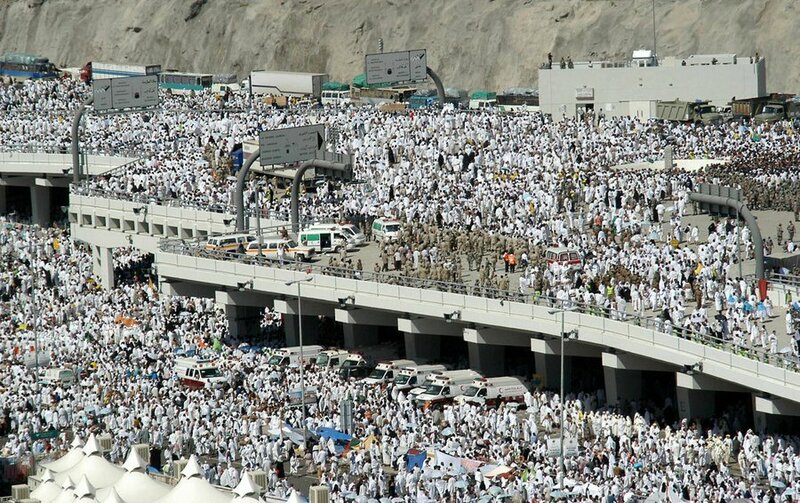 The crush occurred after two massive lines of pilgrims converged on each other from different direction at an intersection close to the Jamarat Bridge in Mina. As part of the Hajj, pilgrims travel to Mina, a large valley about 3 miles from Mecca, to throw seven stones at pillars called Jamarat, which represent the devil. The pillars stand where Satan is believed to have tempted the Prophet Abraham. The crush is the second disaster to strike in two weeks, after a crane collapsed at the Grand Mosque in Mecca, killing 109 people. Saudi Arabia’s Crown Prince Mohammed bin Nayyef, who chairs the Hajj committee, has begun an inquiry into the tragedy. Interior ministry spokesman, Major General Mansour al-Turki, said the reason for the unusual number of pilgrims at the site of the disaster was “not known yet”. Health Minister Khaled al-Falih promised a “fast” investigation and said the crush occurred “perhaps because some pilgrims moved without following instructions by the relevant authorities”. Iran has fiercely criticized Saudi Arabia’s handling of the pilgrimage. The disaster began at 09:00 local time on September 24. The temperature in Mina was 46C on September 24.